It happens to all of us at one time or another – you’re running late, turn the lock on the doorknob, and rush to work before you’re counted tardy. It’s not until getting home that night that you realize your house keys are sitting just inside the door on their handy little hook. Or, even worse, you pull that locked door shut and go to lock the deadbolt only to realize you didn’t grab the house keys. So many of us do little things like that, locking the doorknob from the inside to save a few seconds of time, only to cause an oops moment when our routine gets thrown off. When that happens, don’t panic. Simply call some local help: a locksmith. Everyone knows what a locksmith does – it’s in the name, after all – we are the lock experts. Generally, this includes things like opening the door when you’ve locked your keys in your car or changing out the locks on the home you just purchased. But locksmiths do more than drive around all day unlocking cars and changing out front door locks! 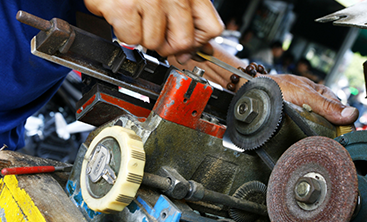 Read on to get a better idea of what locksmiths can do for you. 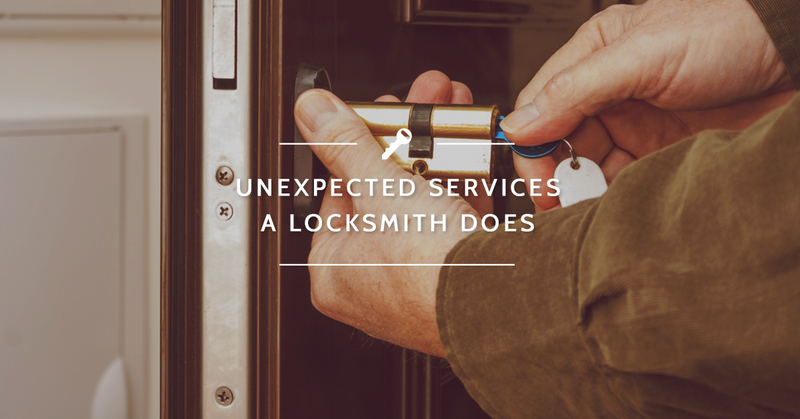 Primarily, of course, the team at Destin Locksmithing handles locks – which means opening them and changing them as needed. But what we do is focused on safety and security as much as it is on getting you quickly into your home or car when needed. When you move into a new home, an ex moves out, or someone in your neighborhood recently experienced a break in, you may have a higher concern for the security of your home. If this is the case, a locksmith can come by and rekey your locks or change them out entirely. In fact, even if you’re moving into a brand new home, you ought to have the locks on your outside-entry doors checked. Contractors have a lot on their plates, and so often, the little details can slip through the cracks. One of those little details is a huge one for the integrity of your home entries; contractors often do not install deadbolt locks properly, which is a big safety concern, as a deadbolt that wasn’t installed correctly won’t do much of anything to stop a burglar. A local locksmith can check that your deadbolts were all installed well and will actually do the job they were designed to do. Anytime you move into a new home, you should have your locks changed in some way and, as you may imagine, this is another job for a locksmith.Rekeying simply changes out some of the springs and pins inside the lock so that it will require a different key to open it, but keeps the same external hardware. This way, you can get different locks and keys without replacing all the doorknobs on your home. Most commonly, the only reason to replace your locks instead of rekeying is when the locks are too old and worn down or because you just want a new look for your home. Changing out the locks doesn’t necessarily add an extra layer of security – unless your deadbolt was installed poorly, in which case we’ll make sure to rectify that when we’re handling your rekeying or replacement. Dealing with keys goes hand in hand with locks. 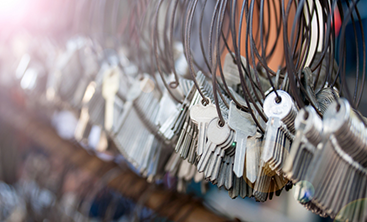 As locksmiths, we can duplicate keys to your home or make copies to replace lost keys. What most people don’t often realize is we can make duplicate car keys just as well. When your dealer says they’re the only ones who can duplicate or fix your car keys, especially the variety with the electronic fob, they’re not necessarily being honest. Many locksmiths like the team at Destin Locksmithing can duplicate and repair dealership and factory car keys just as well as we can the keys for your home. In essence, basically all of the things we handle as locksmiths are here to help your home’s and car’s security. So, to go along with those basic security measures, we also handle a few other unexpected jobs. At Destin Locksmithing, we will not only change out your locks, we will also install home security systems and keyless deadbolts to give you that added layer of home security. For a further layer of security, we will also come by and install a safe in your home or business! 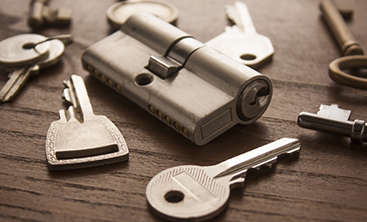 No matter what your lock and key needs, Destin Locksmithing can help! Call us today!